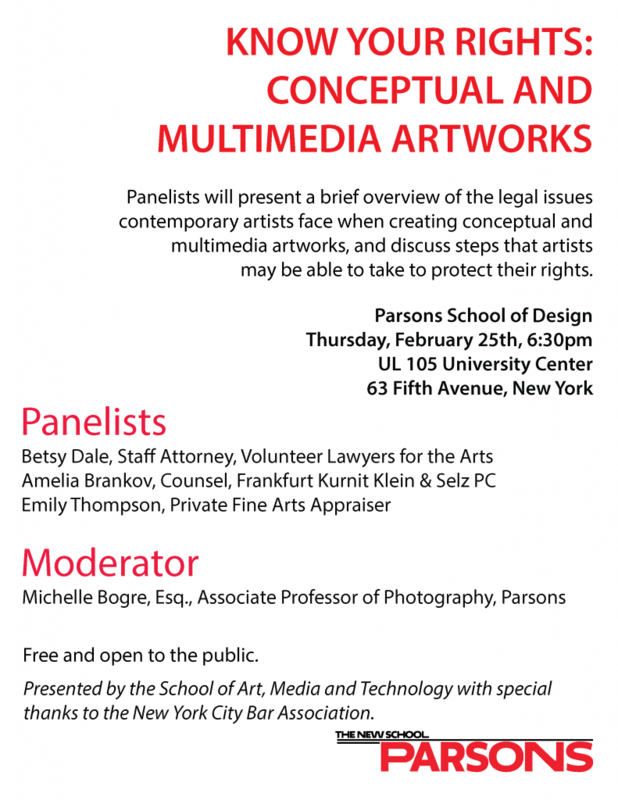 Panelists present a brief overview of the legal issues contemporary artists face when creating conceptual and multimedia artworks, and discuss steps that artists may be able to take to protect their rights. Michelle Bogre, Esq., Associate Professor of Photography, Parsons School of Design. Presented by the School of Art, Media and Technology with special thanks to the New York City Bar Association.